A recent email from a friend of mine had a quote "If some one says sky is his limit, I will only feel pity for his poor imagination". This was recollected when we were on a discussion about the physical factors which could be manipulated in several of our chemically synthesized concoctions to yield scaffolds for cell culture. 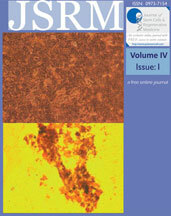 Though the manipulation of physical factors such as elasticity have been proven to have a definite control over the stem cell lineage of differentiation in the in vitro culture conditions, various combinations of such physical factors are yet to be tried which might come over with interesting results. However the entity of gravitational force remain something beyond our control and to be explored in depth. We guess the cell culture and stem cell lineage differentiation could be different especially at different gravities as well as at zero gravity. Enormous coordination has to be done to accomplish such experiments because the transition of cells from earth at 37 Deg celsius into space of no gravity in a very short time, when lifted in a space within the chambers in-built within a satellite, further exposure of them to usual expansion atmosphere sans gravity and then the final return back to earth of the expanded cells will have to be automized. This needs the help of space engineers and electro mechanical automations systems which operate through wireless controls still without in any way jeoparding the cells viability and sterility at any point. Such accomplishment may not be impossible, if have will. Now thinking of the statement quoted in the beginning, its true in a sense that limiting ourselves to an area with gravity has become a real limitation and going out into outer space of different grades of gravity is soon going to become an necessity at least for the stem cell researchers! Let not only the space but also the ideas pour in unlimited to explore what we are yet to! !